It’s been a whirlwind year for Tyler Mayer and Windelinde. 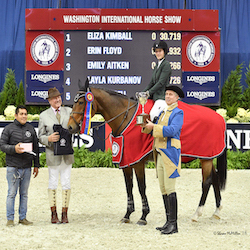 The 16-year-old Texan and her Dutch Warmblood mare have won just about every children’s jumper competition they’ve entered -- five classics, a circuit championship at the 2014 Winter Equestrian Festival and the Zone 7 Team gold in the High Child/Adult Jumpers. They now lead the WIHS Children’s Jumper Championship qualifying list with 5,895 points, and they're heading to Washington for the finals for first time! It will be a 1,300 mile trip from McKinney, Texas, and Tyler, who trains with Peter Pletcher of PJP Farms, is thrilled have such a special horse who has taken her so far so fast. Pletcher found Windy for Tyler during the 2013 Kentucky Shows and the two just clicked. Tyler has been riding for 10 years and has always loved animals. “When I was little, riding felt like I was flying and still today I get that feeling,” she said. Her love for animals only grew with Windy and the bond they have developed. “Windy has such a sweet personality and she loves to follow me around,” she said. 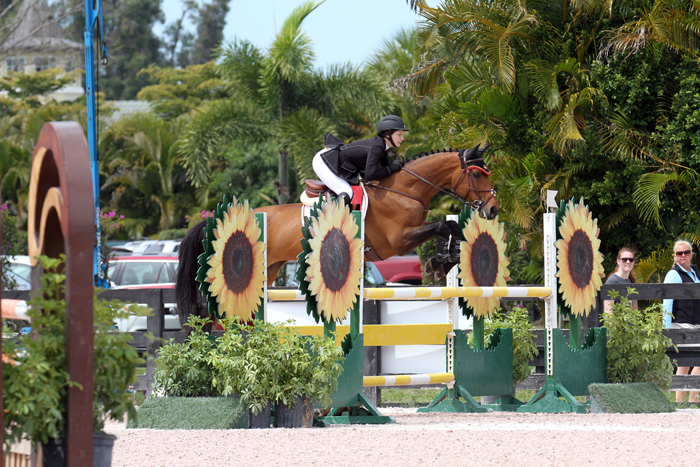 Before Windy, Tyler showed in the hunters for eight years, but made the switch to jumpers after watching the excitement, thrill, and challenge of jumpers. Tyler has also proven to be very successful as a student as well. She has been a USEF Equestrian Student Athlete since 2012 and is a high honors student at the Parish Episcopal School and recipient of the Presidential Service Award for completing over 100 hours of community service. She is also the captain of the junior varsity cheer squad and a tutor for Learning Difference children. She has mastered the fine art of balancing school and showing. “I get my work ahead of time or get work through email,” she said. 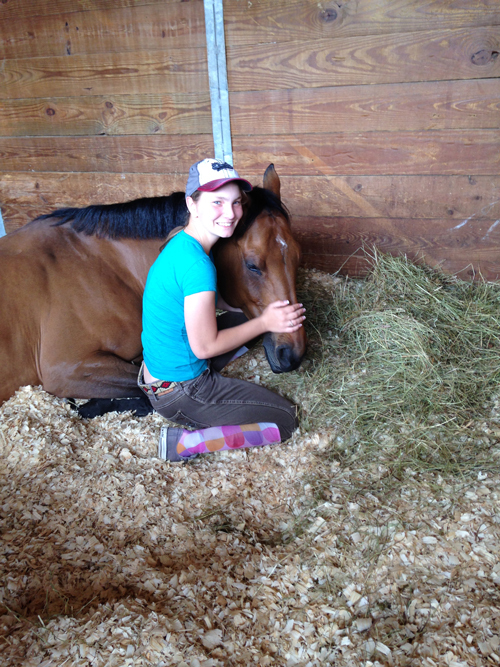 While Tyler sees horses and rider in her future, she is planning to study medicine with the goal of go into psychiatry. She likes being able to help people who need guidance with their problems. Congratulations to Tyler and Windy on a great year and best of luck to them as they compete in the WIHS Children’s Jumper Championship!